There are points in many of Tera’s days when she finds herself being drawn into a discussion with one of her subjects, or a visitor, or, on the rare occasion, some other being that decides that confronting her over a particular point would be a good thing to do. Those encounters usually being with a simple statement: “I’m sorry, but you’re wrong, Tera.” Such encounters result in a discussion, considered at times, and those are the ones that Tera enjoys the most. Sometimes the statement is far more pointed: “You have no idea what you are talking about.” In those encounters, the result tends to be a slow defusing of the one that is angry by Tera as she explains, clearly, why things are as they are. Then there are the encounters that begin with the slamming of a door, sometimes the shouting of words, occasionally some very unpleasant ones. On these occasions, Tera remains calm, becomes pointed in her replies, and. whether or not there is a resolution at the end of things, she allows the words needing to be said, to be. Now, the Queen’s reply depends on the particular moment, of course. For the first, If she happens to be enjoying a cup of tea, her answer comes with a bemused smile as he raises her cup to take another sip: “Then please, do explain.” What then follows is a long discussion that can travel down multiple paths. Sometimes there is enlightenment, sometimes not. But at the end of the path, whichever way it may go, there is no ill will, no anger, nothing that suggests in the slightest that the gorgeous red-tail holds anything against the one that has discussed things with her. She would even share some of her tea along the way. The second might happen when Her Majesty is out and about, in the Realm or elsewhere. Perhaps she is enjoying an evening out when someone approaches her. They might believe she would be off balance, having a need to return to what she was doing. After all, the dance floor, for example, might be calling to her, and why would she wish to tarry? Strangely enough, she would be likely to take the other by the hand, join the person at the bar or other similar place, and then—after ordering a Diet Coke, of course—turn her attention on her uninvited companion completely. Having the Queen’s complete attention can be, for many, a rather intimating experience. People often lose their train of thought, perhaps deciding that they should leave. Sometimes there is a moment when the other pointedly tells Tera that she is using her powers of persuasion aggressively. It is when the raven-haired succubi replies that she isn’t, at the same time taking a sip from her drink, that the other might realize that, while Tera might not always be right, she’s more than willing to listen. But you’ll never see her become visibly angry or yell at the one confronting her. In the end, the other will either have a point that Tera accepts, or not. Or the other will see another way of looking at things, or not. Either way, the parting isn’t quite so blunt as it was in the beginning and, perhaps the next time that person encounters the Queen, it might result in a real discussion rather than what had transpired before. Then, of course, comes the last possibility. She might be reading in Royal Offices in the palace, or off to visit some other world. She could well be just about anywhere, but wherever it is, things usually start with a threat—a sinister promise of some kind—followed by the pointed comment that Tera did something wrong, was evil in her visitor’s eyes, or something far worse: the opponent might say something quite foul about her parents. Some come prepared for Tera to summon her pitchfork out of thin air and attack them. Others prepare spells they foolishly believe will bind her, control her. Still others await her to strike at them, turn them into mindless vessels of her power. Some of the more Machiavellian take the battle to her in the hope that she will turn them into her slaves, which is why they moved to anger her in the first place. In this case, Tera’s first response is to arch an eyebrow; her tail might move in a particular direction. There might be a moment when her eyes might narrow slightly, become a bit sharper in focus. The latter, of course, is generally when the other decides to attack, or cast spells, or drop to their knees to await the blow. The thing is that, whichever they choose, the end result is Tera tilting her head to the right, a lock of her ebon hair covering her eye, and taking on a disappointed smile. But then nothing happens for a long, almost endless, moment. She might then close the book she was reading before she was so rudely interrupted. She could turn to a companion, if there is one, and ask to be temporarily excused. Perhaps, in another moment, she might place her shopping bags to the side as to not sully the contents. At a ball, she likely would offer a captivating look as she offered her hand. Whichever it is, the result is a moment of confusion that the legendary succubi didn’t do as expected. After all, she was certainly “evil,” or whatever some sort of book, scroll, myth or legend said she was. What such opponents fail to realize is that the one thing that cannot be explained is Tera. She isn’t who she is expected to be. She doesn’t fit into a category, an image, an understanding. Perhaps the only way to explain her is that she is succubi—but then, no other succubi is quite like her. This is, in the end, the hardest thing to understand when one is not prepared to listen, to consider, and to actually converse—something that those in the prior encounters would have explained . . . had they listened, of course. However, no matter the attack, no matter the anger, no matter what has been directed at her, she crosses quietly and looks into her visitor’s eyes. Her voice is calm, quiet, measured. She asks why. She listens to their answer. Sometimes it is just as blunt, sometimes there is a hint of willingness to discuss in the words. After the answer has come, she continues to look her caller in the eye, not wavering. Her tail might move slowly behind her, a metronome to her thoughts. Then, always, she will explain her side of things. There is no perceptible heat in her words, no angry ranting, no explosive replies. She speaks her mind—sometimes more than that—and then waits. No matter what follows, she does not turn away. There is never a moment when she dismisses the other out of hand. Even if she is attacked again, out of some assumption that she is distracted, or simply toying, she does only enough to protect herself and nothing more. Eventually one of two things happens: either there is understanding or there isn’t. Some will leave with their opinion of the Succubi Queen changed and possibly return to confront her, but in a better way, where a real discussion happens and not a rant, like this was. Others will not gain anything from the moment and go off to scheme, to plan, and try the same thing again. In any event, Tera remains … well, Tera, waiting for the next soul to visit, to call, to shout. Whatever and wherever that may be, in each case there’s one simple fact that remains. Tera never loses her temper … not anymore. You see, the thing that she learned a long time ago was that it was better to speak softly than it was to yell at someone. Being calm can be far more unsettling. It can also lead to more interesting answers for the one that started things in the first place. There comes a time when one needs to realize that discussion is the answer. The question isn’t as important as understanding that point. One can rant, yell, and scream, but, regardless of how much anger one feels, one cannot lose sight of that. The more heated the encounter, the less is accomplished. Tera isn’t a pushover; there are untold numbers that will admit to that. She enjoys a battle of wits more than a battle of swords … maybe even more than a battle of pitchforks. She accepts two opposing sides to an argument, but not that it must come to blows. Sometimes the hardest thing to do is talk and to talk intelligently. There are heated moments, but, even in them, there is the need to use one’s mind and not lose it. 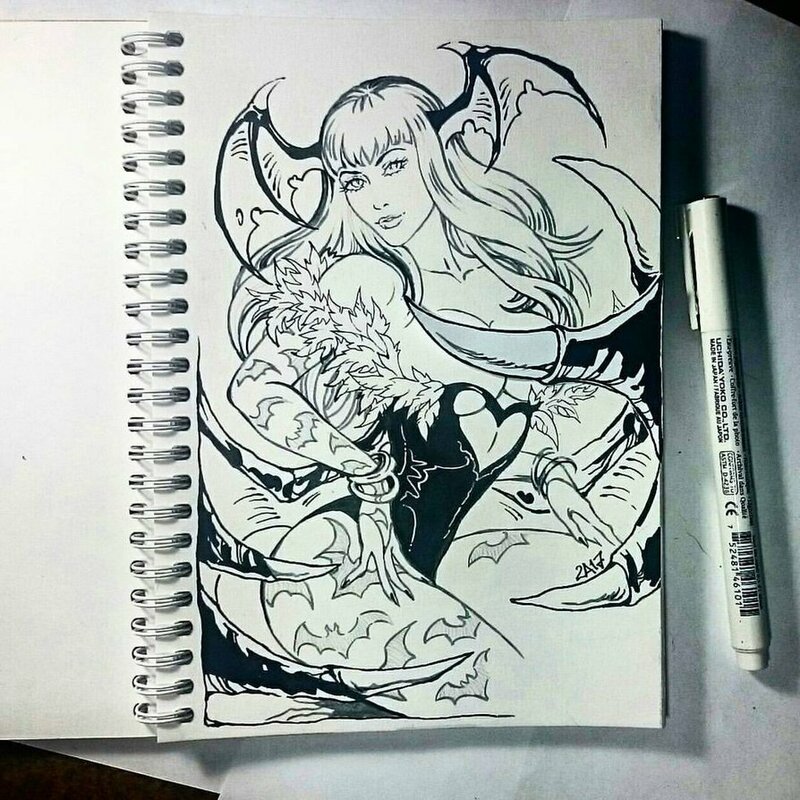 Perhaps knowing that, using that is what makes Tera the Queen, the succubi, the enigmatic wonder she is.